As Tara and Flynn are closing in on Dee Dee Broyles' killer, a deadly new ghost begins to threaten them. It's just another day in Tara's lunatic life. All during the day at school, Tara kept picturing the moment when she and Nate would find DeeDee's grave. Even the classes she had with Flynn, who made everything fun, never seemed to end. By the time the last bell rang, she was fired up like a roman candle on the Fourth of July. She bolted from her seat, made a quick stop at her locker, and slipped out a side door instead of taking the front, knowing full well she was going to miss seeing Flynn. She didn't have time to delay or explain, and she had a feeling he wouldn't be all that thrilled in what she was doing. He was pretty cool about her psychic stuff, but digging for bodies fell way out of the realm of normal-even for her. 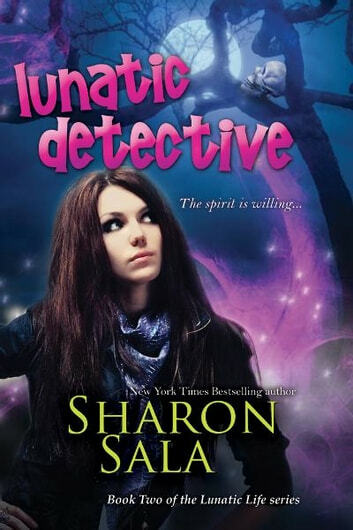 Sharon Sala is the bestselling author of romance, suspense and historical novels for adults, and now, of the popular Lunatic Life mysteries for young adults. She's hard at work on her next Lunatic Life novel. Visit her at www.SharonSalaBooks.com. I love sharon sala's books and this is not exception! !!! !